As the year of 2017 is winding up, it is no surprise to anyone who knows me that I already have decided on my travel plans for next year. I’ll be writing more on those nearer the end of the year, but I have been doing a few bookings with frequent flyer points, and I have to tell you, the experience would rate a solid one out of ten. Okay, so giving a bit away, I booked an outgoing flight with SCOOT, which will be my first experience of the airline. For the return to Melbourne, I’ll be leaving from the Sri Lankan capital, Colombo. 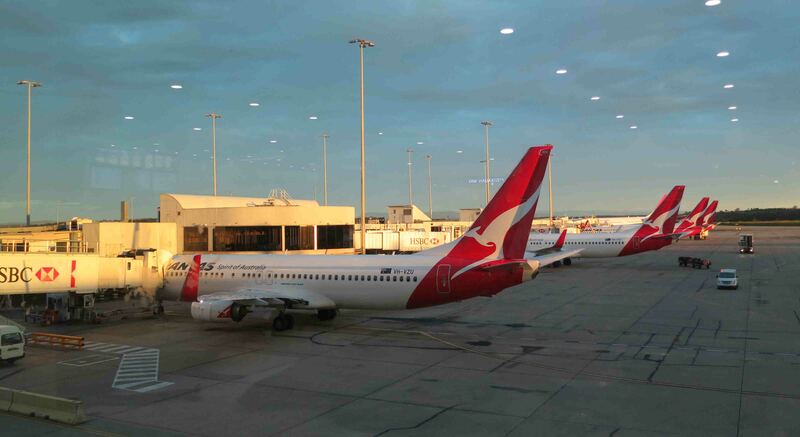 And working out all my budgets, it seemed the thing to do to book this as my frequent flyer points; it was 42,000 Qantas Frequent Flyer points, which was roughly what I had. So I went to book online, which is the easiest and cheapest place to book. Except I couldn’t enter Colombo as a departure point, only an arrival point on the Qantas Frequent Flyer Website. Strangely though, as a return flight it worked. I could enter both legs. But that’s not what I wanted to do, I wanted to book one way back to Melbourne, as Sri Lanka was not my first point of call. So I tried the chat function on the website. You know, it has one that pops up seemingly randomly to ask you if there’s something you need help with. Yes thanks, I’d like to use my points to book Colombo to Melbourne. But they told me they couldn’t see the flight listed – there were no frequent flyer options on their system for that leg. Except I chatted with the return option on my desktop looking back at me. Sigh. After a long chat they were adamant that there was nothing that could be done. So, the dreaded phone call had to be made to Qantas. I called, they were busy. I could arrange a call back when they had someone free as it was over an hour wait, so I agreed to that. No, I did not get a call back. Instead I called back in the evening. I was able to book my flight via the phone. So that was something I guess, but it didn’t answer why on chat they couldn’t access the flight I wanted. However, it wasn’t more than a couple of weeks later that I realised – I needed longer in Sri Lanka. I would need to move the flights to a later date. So I found myself on chat again. I needed 6000 points for the date change, a further 8000 points for the chat person to do it for me. They could see the flight on their system; I kept getting an error message when I tried to change the date. I was told that was only because I had insufficient points. Come to last week, and my balance was above 14,000 points again. So, I tried to change it, but I still got the error message. So onto chat again. And nearly an hour was spent chatting with someone who insisted they couldn’t see any flights for frequent flyers available for the route or a date around when I wanted it. Frustration central! If there were any chance I could change it, it would be back to the phone. So whilst I was finishing the chat I called Qantas. And waited on the line. This was the middle of the night – usually the best time to get through. But I was on hold, then on hold again and then… on hold some more. I’d had enough. I just booked a ticket on Sri Lankan Airlines. I will actually earn points. It cost $460AUD. I went back to the Qantas website to cancel my flight. Except when I got to the right page, it just said ‘call Qantas to cancel flight’ or something along those lines! So I had to call Qantas. I got a call back, and this time it actually happened! This was a short, helpful phone call that got what I wanted done quickly. I guess there is a first time for everything! So I’m flying with a bought ticket all the way now – something of a rarity! 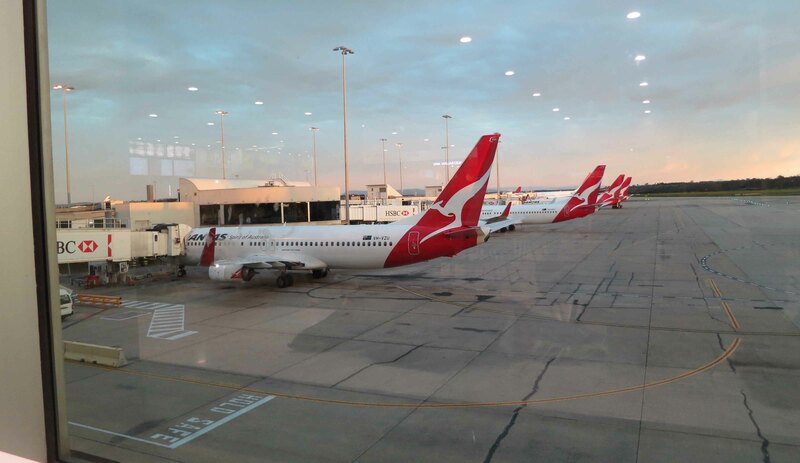 Thanks for reading – more about Qantas and Frequent Flyers coming up! May the Journey Never End! I’ve only had to try to redeem points once and it was an exercise of frustration (with Air Canada). Another time I was stripped of all my points because my account had been inactive too long. It’s all a damn gimmick, that’s why I always go for the lowest priced fare never mind the airline. Maddening! I’ve got 100,000s of thousands of miles and rarely find a productive way to use them. Heaven forbid I try a route that can’t be done on my own online … ugh! youve just got to be prepared to spend time trying different things. you CAN find good uses for the points, but you have to think a bit laterally I’ve found. Thanks for reading! Get a Barclays Credit Card. 2 points for every dollar you spend. Easiest rewards program out there. The airline programs leave a lot to be desired.